Plain and simple – your donors are disappearing, it’s much more difficult and expensive to find and retain new donors, much harder to pay and retain staff, and the competition for limited philanthropic spending is getting intense. Nonprofit funding sources are simply drying up in the face of absolute, increasing demand – a “Quiet Crisis“. Obama’s stimulus package benefits commercial entities, and may in time benefit charities through “trickle-down” means. But your nonprofit organization, church, charity or other 501(c)(3) group’s needs can’t wait. Here’s an answer, a very good answer – the Nonprofit Organization Funding Solutions (NPOFS) 2009 International Charity Stimulus Plan. Raise money now, keep your staff, and help others to do the same – bringing fresh hope and new resources to bear in a very difficult economic time. Sign up with NPOFS as a “Referral Organization” – no cost, little effort. You can sign up online here for more information. Offer your donors and contacts a chance to win great prizes, including a $1 Million jackpot, by buying an Online Raffle Ticket – NPOFS will help you advertise your Raffle Sales using the Internet. This is what’s called a “targeted incentive”. Your nonprofit gets 30% of every ticket sold plus other benefits, paid monthly. Every NPOFS Raffle Ticket sold benefits you, benefits the other participating charities, and gives your donors a very real chance to win one of many cash prizes. 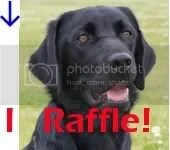 Every raffle ticket also supports the host organization, paws4peopleTM, in its efforts to support veterans, children, the handicapped and others through training and provision of very stimulating and certified assistance/service dogs. The 2009 NPOFS Nonprofit Charity Stimulus Plan – Real hope in an easy, effective and exciting package. Of course, if you’d simply like to Win one of Thousands of Cash Prizes – while supporting many causes at once – buy an Online Raffle Ticket today!